Arizona State University is a public university that is based in Tempe, Arizona. It was founded in 1885 and has a total on campus undergraduate enrollment of 41,800. 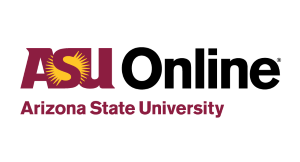 ASU Online also features a highly rated online university with many undergraduate and graduate degrees to choose from. Online courses are highly interactive, tuition is affordable, and professors highly accessible. ASU Online offers over 150 degree programs for both graduate and undergraduate in a number of popular subjects. Students who enroll at Arizona State University ASU Online have the chance to learn from some of the most experienced and accomplished professors in their fields. The online courses are taught by the same award winning faculty as those who teach the on campus courses. ASU’s faculty consists of many Nobel Laureates, Pulitzer Prize Winners, Fulbright American Scholars and Guggenheim Fellows, among other notables. Overall. ASU has 1778 tenured or tenure track faculty members and 1133 faculty members serving as research professors, lecturers or professors of practice. 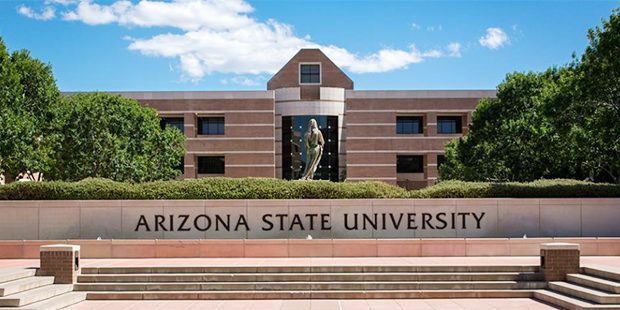 ASU was recently named as a best buy public college by the Fiske Guide to Colleges, based upon its combination of academics and affordability. This is because its tuition is very affordable. For example, ASU undergraduate tuition ranges from $490-$633 per credit hour, regardless if you are in state or out of state. For graduate students online, tuition can range from $492 to $1132 per credit hour. Again, in state and out of state students pay the same rate. Even though tuition at ASU is affordable, more than 70% of all ASU students receive financial aid. In the 2012-13 academic year, 61,000 students were given more than $1 billion in financial aid, and more than $413 million of that was scholarships and grants. When you are paying a lot of money and spending years to earn a degree, it is important to know that the degree is from an accredited program. Accreditation tells you that the degree program has met or exceeded high quality standards. This is especially important when you are considering an online business degree; these programs are still relatively new and having a stamp of quality and distinction will help the degree to be seen as valuable by potential employers. For undergraduate and graduate business programs, the most respected and recognized accreditation agency is the AACSB or the Association to Advance Collegiate Schools of Business. The AACSB has been providing accreditation to business programs since 1919. The founding members are some of the most respected universities in the US. At this time 620 members in 38 countries are accredited by the AACSB. The W. P. Carey School of Business is accredited by the AACSB. The accreditation process is rigorous and lasts at least two years. According to Bestbizschools.com, 86% of schools accredited by the AACSB say that the approval process was the most rigorous they have encountered. It is important to note that virtually all universities in the US of note are accredited at the institutional level, but a business school with the AACSB accreditation has gone a step further to get a specialized accreditation that relates only to business management and accounting programs. So, AACSB schools have gone through a tough evaluation twice. The online MBA program at ASU is highly rated, including a top 5 ranking by US News and World Report. Other attractive features of the online MBA are two convenient start times in January and August, and the MBA program only requires a single campus visit. This means that students with busy professional and personal lives can earn their degree almost entirely online. Some online business graduate programs no longer require applicants to submit standardized test scores. Some evidence suggests that high GMAT or GRE test scores do not necessarily translate to a high level of success in graduate school. Many universities place more value in their evaluation process of students on undergraduate GPA, work experience, interview, writing samples and recommendations. ASU still requires students to submit GMAT or GRE scores for consideration for its graduate programs, including the MBA. The average GMAT score for MBA students who are accepted is 592. The average GRE score for MBA students who are accepted is 153 verbal, 152 quantitative, 4 analytical writing. ASU Online uses an asynchronous format for its online programs. This means that class lectures are recorded and the student views them on his or her own time. This could be viewed as an advantage to students whose schedules preclude them from participating in live classes online with set times. However, some students will find taking classes alone without interacting with other students to be difficult. Many people do not realize the challenge that is presented by taking difficult classes online without any interaction with others. This is especially the case with online MBA classes. Many people find the interaction with other students in an MBA program to be some of the most valuable experiences in the entire educational experience. It should be emphasized that ASU Online does offer online chatrooms, web conferencing and Skype to interact with classmates. But the main classes you are taking are archived and recorded to be viewed on your own. You should carefully consider how online classes will be delivered to you – either live or recorded – at whichever institution you consider. ASU Online features world-class undergraduate and graduate degrees in areas such as Health & Nursing, Business, Engineering, Education, Humanities, Criminal Justice, Legal Studies, and much more – all with the same curriculum and prestigious faculty as on campus. You can earn the exact same degree as you would while attending Arizona State University in person but with the added flexibility of learning on your schedule. No matter what path you pursue, the support and guidance you’ll get from academic advisors and professors will empower and transform your future. Our online courses are highly interactive and encourage learning through collaboration with your professors and classmates. The online campus also provides access to the vast academic, research and career resources that ASU has to offer. The faculty of Arizona State University is made up of some of the brightest academic minds in the world. From Nobel Laureates to Fulbright scholars and Pulitzer Prize winners, our online courses provide you with a direct connection to their knowledge and expertise. Follow your path, and find your purpose with ASU Online. Graduate: Master of Business Administration, MBA/MS in Industrial Engineering, MBA/MSE – Electrical Engineering, Master of Science in Management. Undergraduate: Business Administration, Business Communication, Business – Food Industry Management, Business – Global Leadership, Business – Retail Management, Business – Sustainability, Business Data Analytics, Management, Global Logistics Management, Business – Tourism.